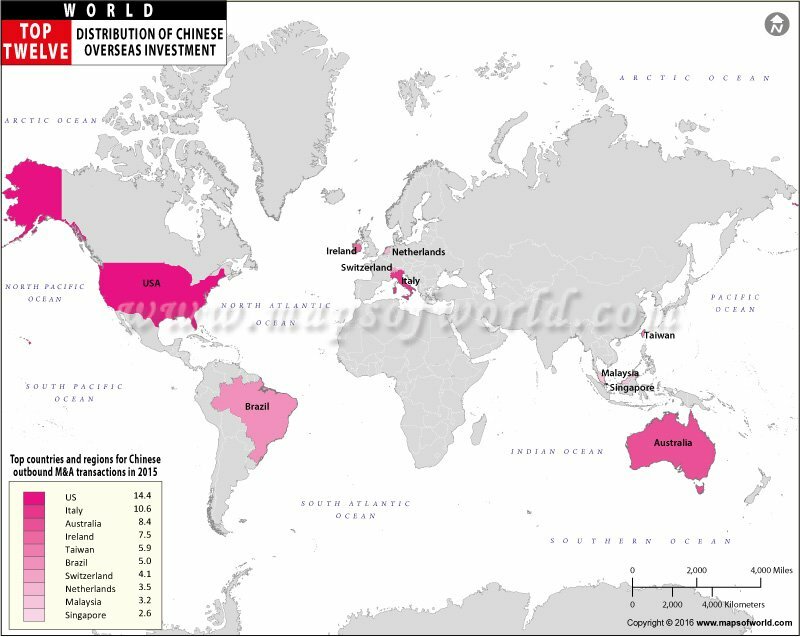 Chinese overseas investments in the year 2015 continued its upward trend. In 2015, the non-financial Outward Direct Investment flows increased by 14.7 percent to reach an amount of $118.02 billion. The United States topped the list of countries and regions for Chinese outbound M&A transactions in 2015 by number of deals. In the US, China recorded 113 deals in the fields of healthcare, Utility and energy, real estate, computers and electronics, machinery, telecoms, insurance, utility and energy. Next on the list was Australia which witnessed 42 deals followed by South Korea at 38 deals. Other countries included Germany at the fourth place. Taiwan and the UK were tied at the fifth place. Singapore occupied the sixth place while Canada was seventh. Italy and Japan were eighth and ninth respectively, while the tenth place went to both France and Israel.